TO VIEW THE 2014 NASHVILLE NINE LIST OF PROPERTIES, CLICK HERE. NASHVILLE, TN, Sept. 23, 2014 – Historic Nashville, Inc. (HNI) today announced its 2014 Nashville Nine at a press conference held at RCA Studio A on Music Row. Mike Wolfe joined HNI representatives to reveal the Nashville Nine properties and to underscore how vital preservation is in maintaining Nashville’s unique character. Wolfe, who now calls the Nashville area home, is the star of History Channel’s hit show American Pickers, a member of Historic Nashville and a passionate preservationist. In addition to Wolfe, speakers included Historic Nashville President Melissa Wyllie, Nashville Nine Committee Chair Brian Tibbs, Sharon Corbitt-House on the history of the RCA Studio Building, and Carolyn Brackett from the National Trust for Historic Preservation. 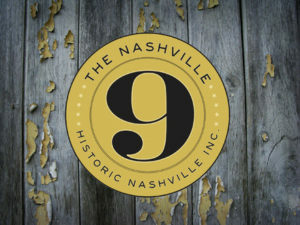 Since 2009, Historic Nashville has published the annual Nashville Nine, a list of the city’s historic properties endangered by demolition, neglect or development. Every year the Nashville Nine is compiled through a public nomination process revealing historic buildings and places that matter to the people of our city. Since the program’s inception, Historic Nashville has brought to the public’s attention a wide variety of the city’s endangered landmarks, including historic houses, park buildings, civic landmarks, commercial buildings, neighborhood schools, churches and even neon signs. These properties represent a range of historic time periods, architectural styles and building types that embody Nashville and Davidson County’s rich cultural history.